is our gift in this lifetime. Throughout this week together we'll be guiding the way for immersed transformational work and creating a sanctuary for surrendering and receiving. This training, this gathering, is for those who wish to understand the environment and communities they work within and to become their greatest offering. It is for the teachers, the mentors, the healers, and those who wish to belong to themselves and believe in their intuitive and healing capabilities. It is to help you find your authentic voice so that you can trust in and Refine Your Medicine. 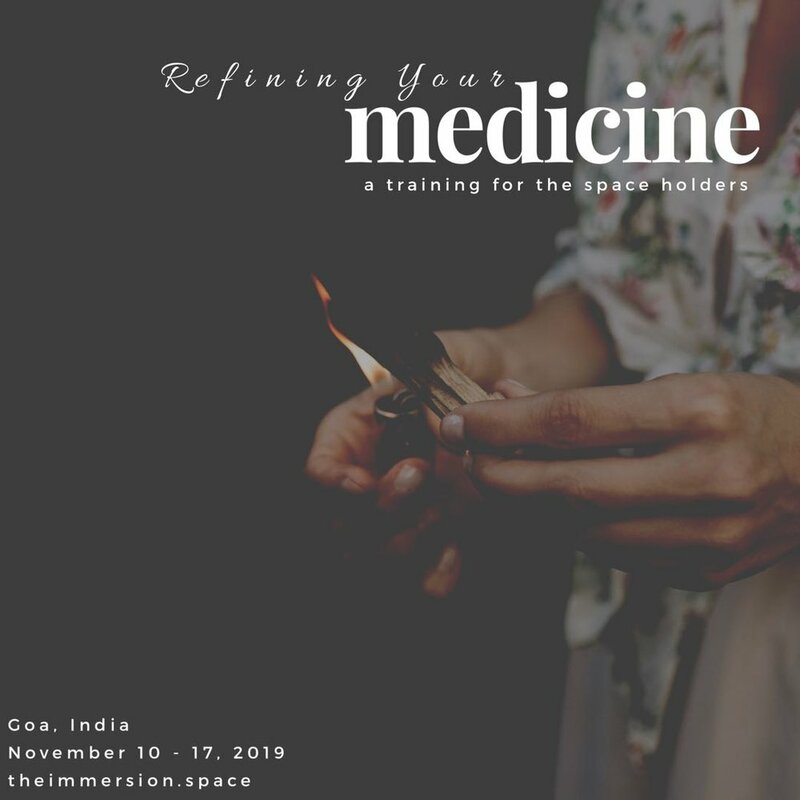 Join Michelle and Kelsi and other curious, medicinal women as we gather once again at the gorgeous oasis, Samata Holistic Center in Goa, India.